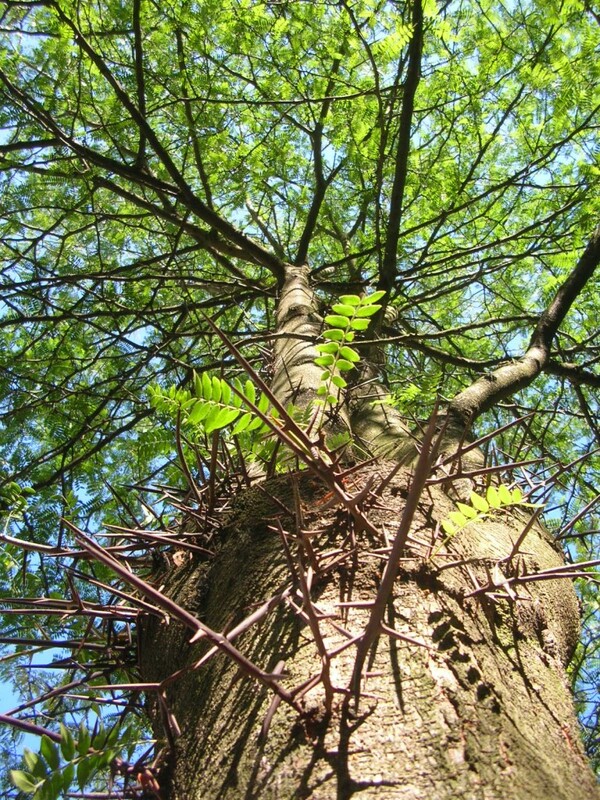 Gleditsia triacanthos is a tree to 20 m or more, trunk, branches and twigs armed with numerous, large, often branched thorns, bark black with few irregular fissures, and plates. Leaves alternate, pinnately once or twice compound, leaflets oblong, obscurely toothed, 1-4 cm; leaves expand mid-May; winter plant leafless 180 days (Britton 1874). Flowers small, greenish, pea-flower-shaped, monoecious, in racemes; blooms May-June. 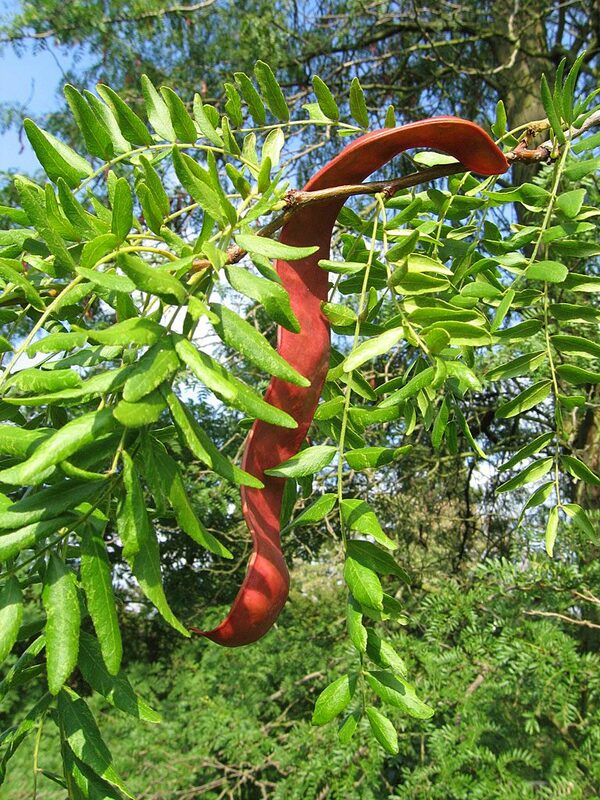 Fruit large dry pods, flat twisted, to 40 cm long, 4 cm wide, brown-black, hairy, seeds numerous, separated by sweetish pulp, Sept.-Feb. Origin: Native to western PA.
Habitat: May escape from cultivation. Tolerates soil pH 4.8-8.0 (Stalter and Lamont 2002; USDA, NRCS 2010). Often used as street and park trees. Notes: Although it readily sets fruit it does not appear to be dispersed by any animals or birds. There are a number of trees native to the eastern US with large fruit or seeds that appear to have no agency of dispersal other than humans. There is a hypothesis regarding these plants that they where originally adapted to dispersal by now extinct large herbivores which would eat the entire fruit and defecate the hard seeds. In some cases, horses or cows now may perform that function (Janzen 1982).